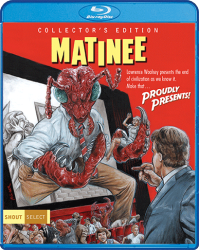 Product Note: The limited edition poster has SOLD OUT as of March 5, 2018. 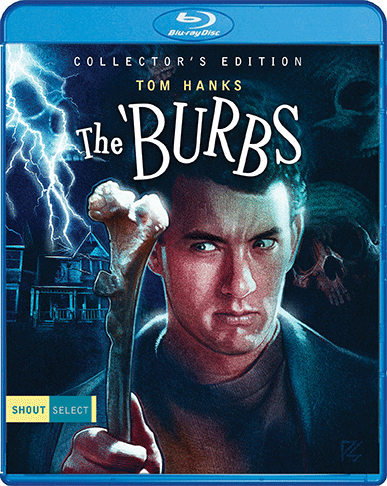 Tom Hanks stars in The 'Burbs, a comedy about a suburbanite whose plans for a peaceful vacation at home are disturbed by a creepy new family on the block. 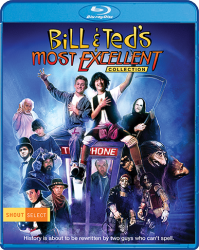 Much to the disappointment of his wife (Carrie Fisher), Ray Peterson (Hanks) and his three neighbors set out to investigate the next-door residence after they begin to observe strange happenings. 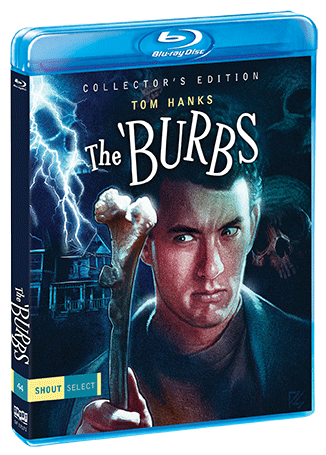 Set in an average neighborhood that is anything but ordinary, The 'Burbs blends slapstick comedy and spine-thrilling mystery and is superbly directed by cult filmmaker Joe Dante (Piranha, Gremlins, Matinee, The Howling).